Buying Property in Poland is the complete guide for investors in search of capital gain, private buyers relocating for a lifestyle change, work or retirement and business entrepreneurs keen to be part of this rapidly developing nation. Writen by those who live in the country and work constantly with foreign buyers Tim Hill brings together the collective experience of his own staff, consultants, real estate agents and those who have already bought and benefited. 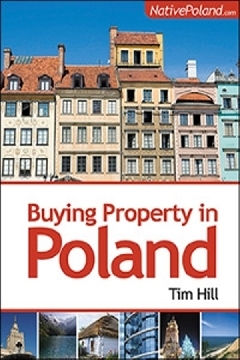 Buying Property in Poland is the definitive guide for all types of buyers who don't want to pay over the odds, be taken for a ride or waste time on purchases that go nowhere. Poland is already being discovered by millions. Within twenty years it will have an economy and property market similar to Western Europ but here and now tere is a window of opportunity for those who can see it and just need a little help to grasp it. Tim is Mamdom.com's Operations Director managing a team of consultants who help foreign buyers identify and purchase suitable real estate opportunities for investment, development and relocation. As well as speaking regularly at seminars on the Polish real estate market his comments are often quoted in the domestic and international press. "Buying Property In Poland is one of the most comprehensive guides for purchasing foreign property that I have ever seen. Going beyond..."